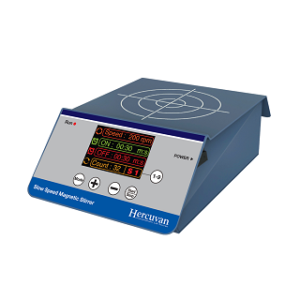 CycloneSpin Digital Magnetic Stirrer Series are compact benchtop magnetic stirrers ergonomically designed for routine stirring applications of solution, media or buffer preparation in various types of laboratories. 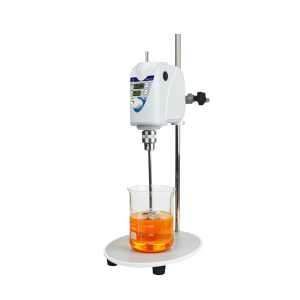 These affordable digital magnetic stirrers are robust and reliable, designed based on precision, control and operational simplicity to ensure success of your work. TT-DMSM-25 is a compact and reliable magnetic stirrer, suitable for small capacity samples that can accommodate up to 250 ml. The strong magnetic stir range from 0-2,500 rpm provides smooth and consistent operation. The platform is made of non-slip silicone mat. TT-DMSH-350 and TT-DMSH-350S are digital magnetic stirrers with hotplate function. They are equipped with PID for precise temperature control and chemical resistant ceramic working surface for rapid heating. The TT-DMSH-350S is equipped with an optional external temperature sensor for temperature monitoring and detachable stand for various sensor probes (temperature, pH and others). Both TT-DMS-18 and TT-DMSH-350 are equipped with 30° slope, easy-to-read LED display while the TT-DMSH-350S comes with intuitive holographic display with convenient control knob for quick and precise time and speed setting. Variable speed is available for different models which renders low speed to powerful mixing capability. The stirring begins slow to avoid splashing followed by a smooth and steady speed increase.